Hi everyone. This is going to be a short rundown of our recent thrift scores. I also need to beg off one week for our Tuesday Tips reseller series. I've just gotten too far behind with the shop to get a long post up in a day. We've had some pretty good luck with ceramics lately. 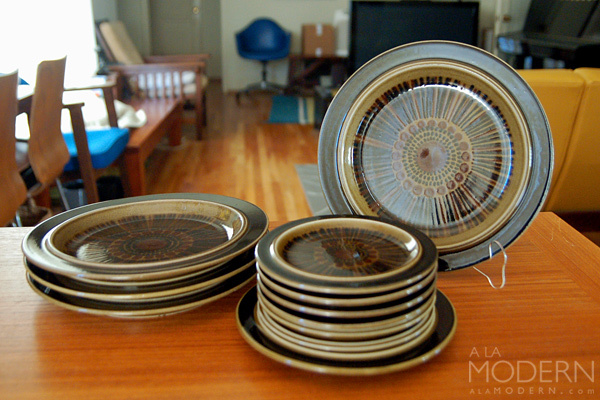 We found this large set of Arabia of Finland dinnerware in the "Kosmos" line, which was designed by Ulla Procope and then decorated by Gunvor Olin-Grönquist. We've been looking for this pattern for awhile now. 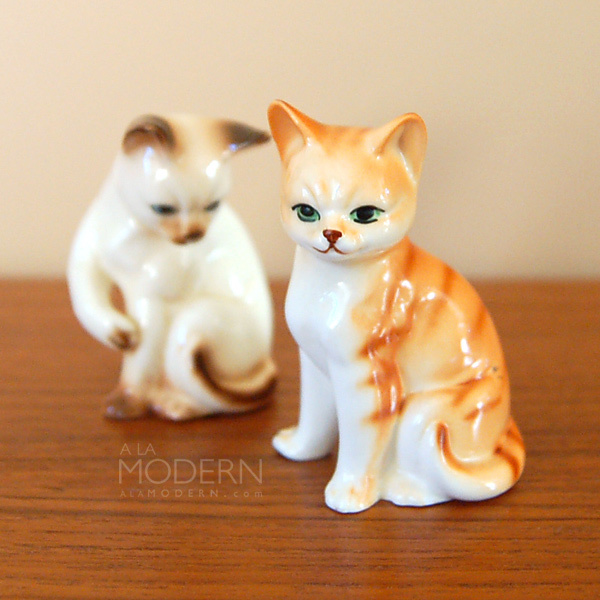 Cute little cat figurines like these are another standby that we look for at thrift stores and garage sales. In general, the older ones from Japan and the U.S. (California in particular) are more highly prized. But don't count out ones from Hong Kong or Taiwan, especially if they're cute and were made in the 70s-80s. People still really seem to like them. 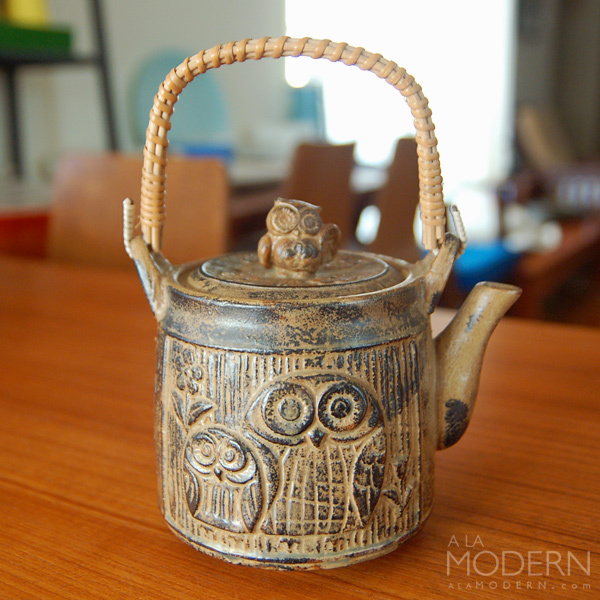 I keep telling myself that we have enough Pottery Craft in the house. But it's so hard to pass them up for reasonable prices at the thrift, especially when they still have the sticker still on them! 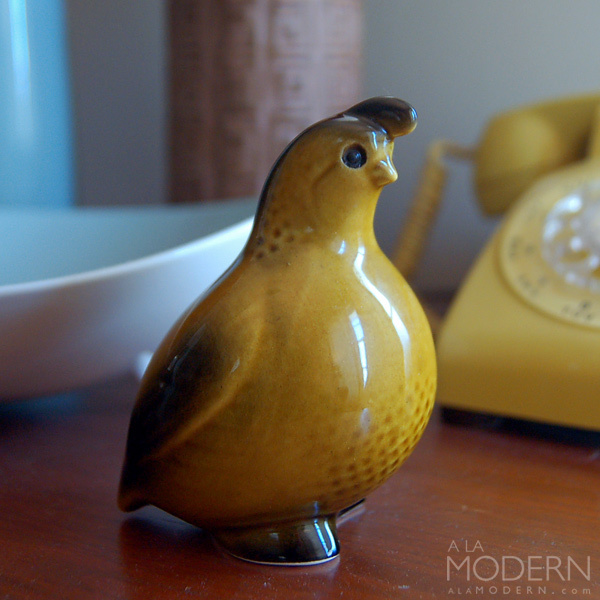 Lastly, we grabbed this little Roselane pottery quail. 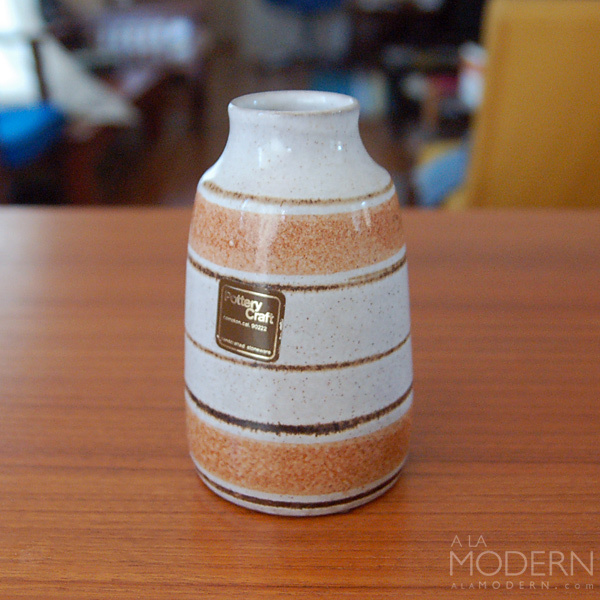 We find a lot of California pottery in our thrift travels, but we've been passing on most of it unless it really fits the store, or we happen to collect it. OK, that's it for this thrift roundup.